The Geneva Motor Show is aimed towards the international automobile market and nowhere else will you see a better global representation. Find out what to expect with alternative energy cars at the show this year. The Geneva Motor Show always promises to please everyone by making sure it covers the entire planet. If Detroit is for the North American market, Frankfurt is to Europe what the Tokyo Motor Show is in Asia. However little can match the Geneva Motor Show’s as far as wide reach representation. This is what to see at the Geneva Motor Show with alternative energy. Asia. Mitsubishi has a lot riding on its head following the successful introduction of its newly redesigned Outlander, the Outlander plug-in hybrid (PHEV). Of course Toyota will have its many Prii, including the plug-in hybrid but no real electric car. Lexus will show no less than 5 hybrid versions available. Nissan will show its Euro Leaf. Honda will show its hydrogen Clarity, as well as its Insight and other hybrid Jazz, the CR-Z Hybrid. Kia will show its hybrid Optima. Europe. On the European side, Audi will show its A3 plug-in hybrid (PHEV) as well as its A6 Hybrid Limousine and Q5 Hybrid. Renault, strong with its four electric cars will show its Twizzy and ZOE. 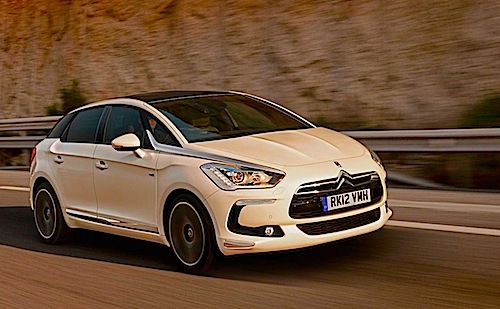 Citroen will bring its electric C-Zero, the Mitsubishi i MiEV rebadged French version and will show something we’ll never see in the US, Citroen elegant car designs, such as the DS5 Hybrid4 200 ch. Peugeot will show its hybrids and to my knowledge the only hybrid van available anywhere. Another oddity here is the debut of the electric Defender, the Land Rover group turn electric car consultants with its electric Defender. Where we can start to see strong signs of recovery in the European automotive segment is with Volvo who is unveiling its V60 Plug-in Hybrid. Volvo has an established presence globally and the new Chinese market seems to have taken a liking to the Swedish carmaker. Daimler has a cheaper version of the electric Smart ForTwo that will be there, as well as Mercedes’ breathtaking SLS AMG electric drive. To top the European alternative energy player, we couldn’t end it without mentioning the stunning BMW i8 plug-in hybrid and its electric i3, now with a range extender. Do Not Miss Sbarro! If you have to see another less talked about automobile genius, Sbarro certainly fits the bill. The Swiss car engineer has produced fantastic concepts and will unveil its Réact, a 210 horsepower V-6 is mid-mounted which powers the rear wheels with two electric motors in the front, delivering an extra 200 kilowatts (268 horsepower) to the front wheels. All of this feeds on a 24 kWh lithium-ion battery pack. USA. Cadillac will represent its version of the Volt, its ELR and will also have Opel’s Ampera. Ford will show its electric Focus and its incredible line of hybrids, plug-in hybrids. The Geneva Motor Show is a great way to test the mood of the international automotive market. With its wide and global representation of the international market, the alternative energy cars at the Geneva Motor Show only show how they are now part of our landscape.